Although iPhone OS 3.0 is just cooling off, Apple has already given developers early access to iPhone OS 3.1 with new hooks for video support. 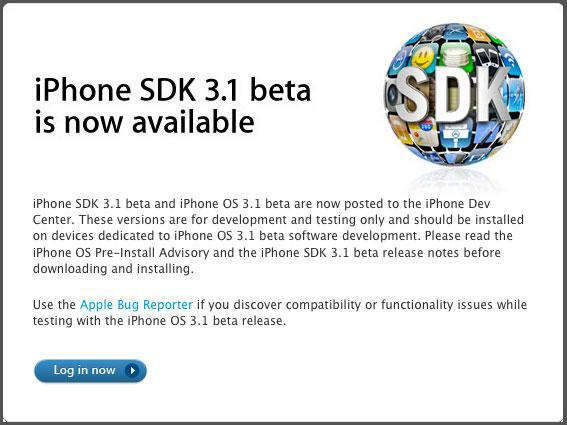 Seeded to developers on Tuesday night, the first beta and a matching SDK are said by those familiar with the releases to include roughly a dozen new extensions for the OpenGL ES graphics library that developers can use to improve graphics on the iPhone 3GS, which is needed to support the standard. They also reportedly give programmers their choice of video recording quality as well as a pair of new app interface classes that are known to relate to graphics, but which haven't had their functions identified. Xcode 3.1.3 has also been released and is said by people aware of the update to improve facilities for creating a new project as well as setting a target configuration. Apple's release is a quick turnaround and unusual for hinting at a point release so soon after 3.0. In the past, Apple has often preferred to address outstanding bugs first in minor patches rather than more significant revisions that often contain small but noteworthy new features. So far, nothing contained in iPhone OS 3.1 is believed to have added significant components.